M: Paul Revere Reece, Jr.
Miriam Juanita Hinshaw1,2,3 [Juanita Hinshaw4,5,6,7]. Virginia Lee Reece; married David Newkirk. Paul Ronald "Ron" Reece; married Brenda --. Deborah Reece; married Glen Denny. Randall "Randy" Reece; married Bee Bee --. Juanita Reece, 91, Spiceland, died Wednesday, Nov. 11, 2009, in her home. Arrangements are pending at Sproles Family Funeral Home, New Castle. 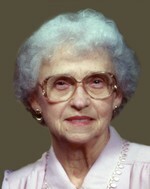 Juanita Reece 91, Spiceland, IN, died Nov. 11, 2009. Services: 11 a.m. Nov. 16 in Spiceland Friends Mettinghouse. Calling: 2 to 6 p.m. Nov. 15 in Sproles Family Funeral Home, New Castle, and one hour prior to service. Burial: Circle Grove Cemetery. Juanita Reece, 91, of Spiceland died Wednesday in her home following a brief illness. She was born January 24, 1918 in Spiceland, a daughter of the late Floyd E. and Ada I. (Jarrett) Hinshaw. Juanita attended Spiceland School and graduated from Kennard High School in 1936. She graduated from Indiana Business College in Muncie in 1937. Early in her career she worked at Sears, Firestone and World Bestos. For many years was the office manager at Paul R. Reece & Son Insurance Agency in Spiceland. She was a long-time member of the Spiceland Friends Meeting. She belonged to the Tuesday Lucerian Club, Mad Hatter's Madam's Red Hat Group, Spiceland Past Matrons, and S.P.A.T.S. She was a member of the Spiceland O.E.S. #563 serving as secretary for many years and was presently a member of the Lewisville O.E.S. #463. She also served as the treasurer of the Spiceland Library. She loved cooking for her family, doing ceramics, oil painting and Sunday nights at Top Hat. She especially enjoyed spending time with her grandchildren and great-grandchildren. She is survived by her five children, Virginia Newkirk of Spiceland, Ron (wife: Brenda) Reece of rural Rush County, Beverly Reece of Indianapolis, Deborah (husband: Glen) Denny of Spiceland and Randy (wife: Bee Bee) Reece of Fullerton, CA; seven grandchildren, Rob (wife: Trish) Frost of Columbus, IN, Brad Frost of Chicago, IL, Jesse (wife: Jenny) Reece of Kentucky, David (wife: Leanna) Reece of Camden, IN, Traci (husband: Bryan) Gentry of Spiceland, and Tyler and Trent Reece of Fullerton, CA; five step-grandchildren, Kelley Sitton of Wilkerson, Andrew Newkirk of Pendleton, Chris and Travis Denny of Hernando, FL, and Gordon Guffey of New Castle; six great-grandchildren, Courtney, Kyle, Matthew, and Caroline Frost of Columbus, and Bryce and Chloe Gentry of Spiceland; six step-great-grandchildren; three sisters-in-law, Lesley Reece of New Castle, Ann Hinshaw of Ft. Worth, TX and Betty Haynes of Olathe, KS; and several nieces and nephews. 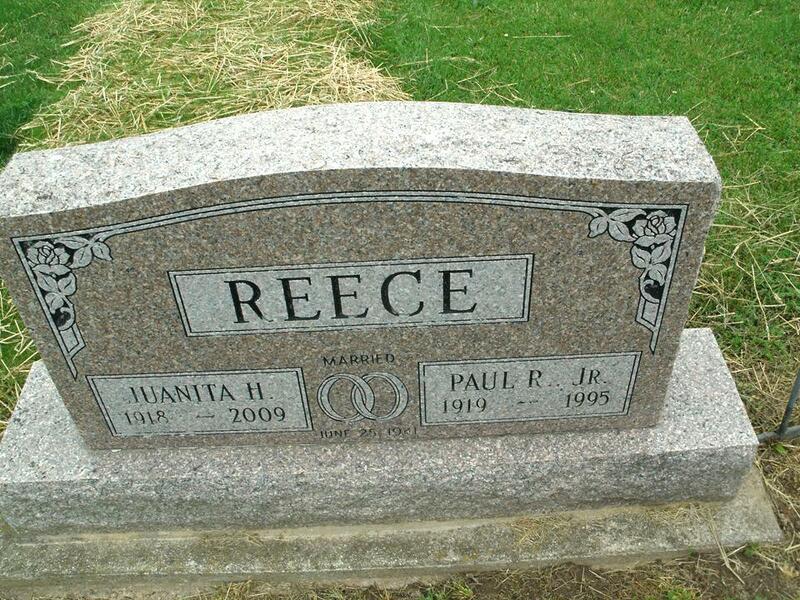 She was preceded in death by her husband of 53 years, Paul R. Reece Jr. whom she married on June 25, 1941; three brothers, Boyd, Donald and Marlin Hinshaw; and a son-in-law, David Newkirk. Funeral services will be held at 11:00 a.m. Monday, November 16, 2009 at the Spiceland Friends Meetinghouse with David Brock and Cathy Harris officiating. Burial will follow in Circle Grove Cemetery. Friends may call from 2-6 p.m. Sunday at Sproles Family Funeral Home and one hour prior to the funeral at the meetinghouse. The Lewisville Order of Eastern Star #463 will conduct a memorial service at 6:00 p.m.
Memorial Contributions may be made to the Spiceland Friends Meeting Building Fund or the Spiceland Alumni Association with envelopes available at the funeral home. You may send a personal condolence to the family at www.sprolesfamilycares.com.